Want entertainment in its purest form? 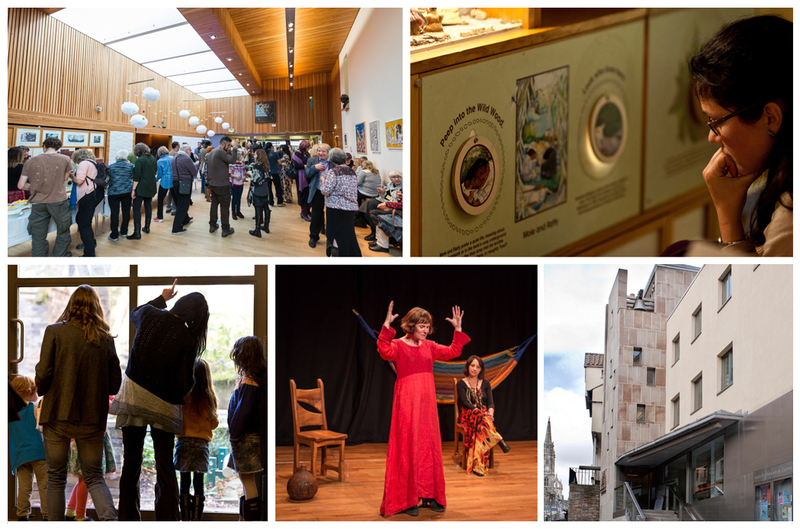 Look no further than the Scottish Storytelling Centre (SSC) a creative hub off of Edinburgh’s Royal Mile. This bespoke building focuses mostly on spoken word performance, stripped of microphones and scripts. Bustling year-round, SSC is particularly busy in festival season. These themes include migration, fake news and LGBT rights. SSC has broken ground by breaking down many of these issues for its younger audiences. This spirit of inclusion runs throughout SSC’s 17 Fringe shows, including Is this a Dagger – Andy Cannon’s historical analysis of Macbeth, (More) Moira Monologues – with Alan Bissett discussing Brexit and Indie Ref 2 from Scotland’s working class woman perspective – and The Loud Poets, who perform poetry for the masses, accompanied by a live band. “The Loud Poets believe storytelling is for everyone and is something everyone can do – you don’t have to have gone to Oxford University to practice it and it doesn’t have to be pompous,” Corr said. True to this sentiment, SSC has worked throughout its history with outreach programmes, bringing storytelling to disadvantaged groups. Another project SSC undertook, in partnership with BSL:UPTAKE at Heriot-Watt University was Stories in the Air. In this project SSC worked with BSL interpreters, to boost their narrative skills and make storytelling more inclusive for deaf audiences. A relaxed environment is key to any storytelling and it was this realisation that led to the founding of the SSC building. So after sourcing £3.5m, recruiting Malcolm Fraser Architects, and undergoing a five- year development, the SSC opened its doors on 6 June 2006. “The SSC building is gorgeous,” Corr enthused. “It’s the first purpose-built architectural frame for a centre of storytelling, which has been important in providing good acoustics that cater to different storytelling styles and flexible spaces for events,” she added. To truly appreciate the Centre, Corr encouraged people to drop in.